Don’t be. Our Training is hands-on and our Support is proactive. That means we’ll walk you and your team through every last detail and regularly check in with you for as long as you use School Rush!. We’re here for you. Relying on inefficient paper or email communication. Paper forms and emails may be outdated, slow, and cause “email fatigue,” but some schools believe they’re more reliable and safe. School Rush! solves this problem by ensuring your information’s security, and letting you transmit important updates with the speed and efficiency of an advanced digital system. Parents don’t want to get involved. It’s not that parents don’t want to get involved; it’s that the obstacles to doing so are too great. School Rush! 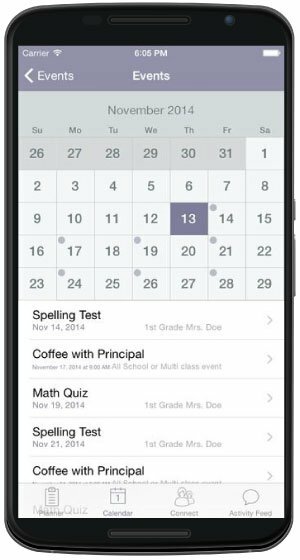 fixes that by putting all the information parents need conveniently into a single app with helpful tools, including the ability to easily add calendar events to their personal calendars and contact teachers through a convenient directory. It’s no wonder School Rush! increases parent engagement up to 90%! I don’t have time to learn School Rush!. With its intuitive design, School Rush! is straightforward and easy to learn. Plus, this app will save you time, money, paper, and headaches for years to come, making it the obvious choice for all your student administrative needs. Increase parent engagement up to 90% through sheer convenience, which boosts students’ grades, test scores, and graduation rates. Save time with efficient, real-time digital communication. Rest assured knowing all communications are secure. Organize efforts with centralized control over a shared, single calendar. Enhance teacher abilities with classroom-level sharing directly to all parents, all at once. Analyze concrete metadata and adapt to what parents are interacting with the most. Update from anywhere, directly from the cloud or, for parents and staff, from a convenient smart phone app. Bolster your emergency alert system with speed and reach. Make a real difference with parents, students, teachers, and administrators all working together to achieve a shared Education goal. Ready to build an Education community? Get School Rush! 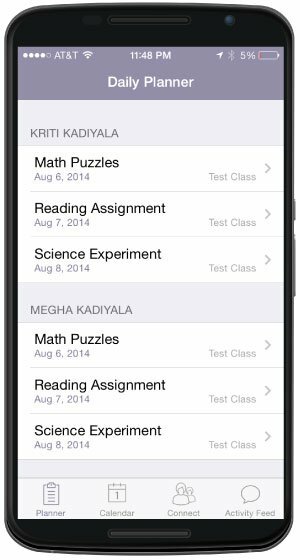 Homework Assignments: Push homework assignments and other important events to parents’ smartphone calendars. 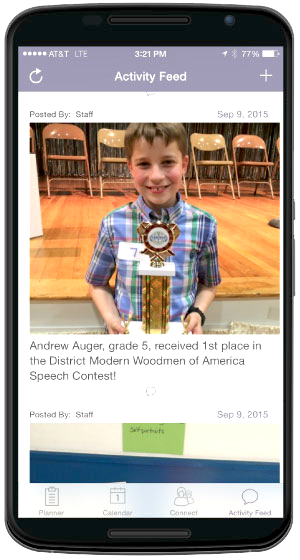 Message Feed: Send classroom pictures, documents, and text messages. Daily Planner: Give parents and teachers an instant, personalized view of current and upcoming events. 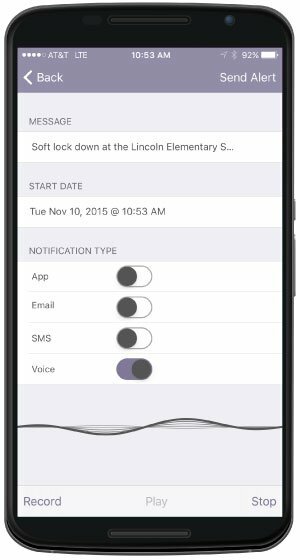 Notifications: Send voice, text, email, and app alerts from the school. Student and Staff Directory: Provide parents access to contact info for teachers and, optionally, other parents. Sync with Student Information Systems (SIS) in real time. Make emergency calls and texts. Share classroom pictures with parents securely.